Alexa Chung joined Selena Gomez, Zendaya and Rita Ora at the 2017 Fashion Awards on Monday at Royal Albert Hall in London, England. The 34-year-old British writer, host, model, and fashion designer looked like a mess in a pearly polka dot dress from her own label featuring spaghetti straps and a statement waist band. 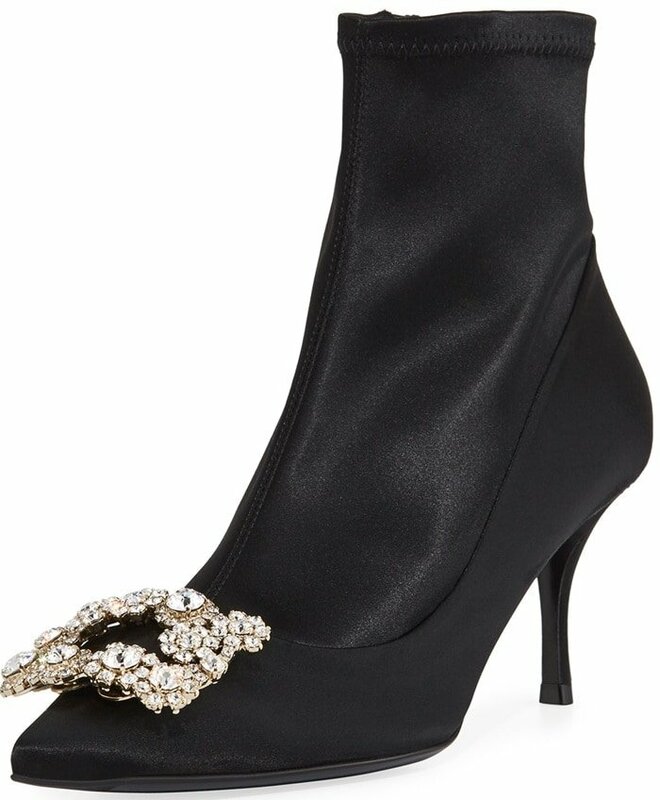 She styled her unflattering frock with stretch-satin crystal buckle boots from Roger Vivier (available at Neiman Marcus). Last month, Alexa also attended the 31st FN Achievement Awards in a tuxedo look from her Fall 2017 collection. She took home the 2017 Launch of the Year award for her ALEXACHUNG collection.